Recent graduate of Sample Room’s Fashion Label Launch Pad Program, Helen Atcheson has launched an ethically accredited and sustainable womenswear label, Love Linen! Inspired by the Australian climate, in particular the tropics of Broome, Helen’s collection seeks to capture a true quality, luxury and style designed to last a lifetime. Love Linen is a high quality collection of womenswear born from a passion for sustainable and locally produced clothing. Linen is the ultimate ‘resort wear’ textile, and our goal is to create a luxurious range of consciously manufactured clothing. It’s not just for the everyday woman. She loves quality over quantity, she appreciates classic styles, she does her part for a sustainable future, she shops local… and she loves linen! I have a background in hospitality, administration and HR. I also have a strong artistic side, of which I have only just been able to put into practice through launching my own label. I learnt the importance of choosing fabric to suit your design. Fabric, fabric, fabric is the key! I think it is important to realise that you will learn something new at each and every stage of development. You are forever learning and editing your ideas. Learning how to communicate your designs is also extremely important. I would have definitely simplified some of my designs for my first launch before moving to more involved patterns. The relationship with your pattern maker is so important! However, I am so happy with my first range and I can only look forward to the growth from here. Love Linen is available online across Australia and New Zealand. 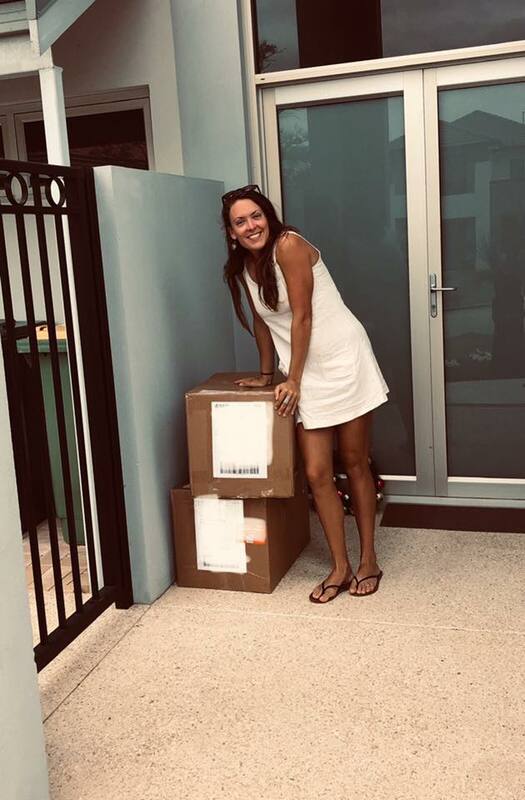 We will be participating at local pop-up shops and markets this year in Broome and are working on securing some select wholesale outlets in Broome and around Australia. You can keep up to date with all Love Linen news via our social platforms listed. It will not be easy. If you are not comfortable spending at least $30 – $60K before you make a sale then walk away now. If you still have this niggle that won’t go away of something that is your passion and you know it will work – trust. Trust yourself because you can do it, you just can’t do it alone. You will need help, you will need education and you will need support. At the very least the Launch Pad Program is a fantastic beginning. I wouldn’t be here today if it wasn’t for a resource such as this out there. If you would like to learn how to develop and launch your own range. Join our Fashion Label Launchpad, as Helen did, and learn all there is to know to be a fashion designer.